The Frend ready-to-wear brand has updated the sorting system of Camaïeu's Roubaix warehouse. With more than 900 stores worldwide (including 650 in France) and 5,200 employees, the French retailer Camaïeu wanted to increase the number of orders prepared per day and improve productivity in general. The two pre-sorters and five flat sorters which had been installed more than a decade ago needed to be updated in order to achieve this objective. 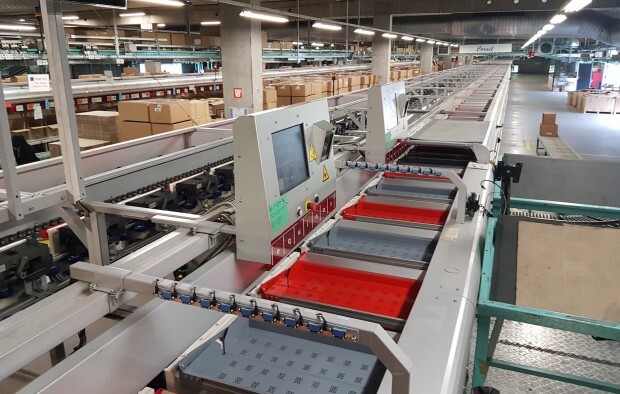 The connected intralogistics specialist Transitic and the integrator Equinox collaborated In order to optimise the efficiency of the existing sorters by replacing moving parts, updating the electrical installation and adding new screens. Camaïeu is now ready to accomodate growth without having to reinvest in more expensive new solutions.